White Wedding Shoes Part 1. 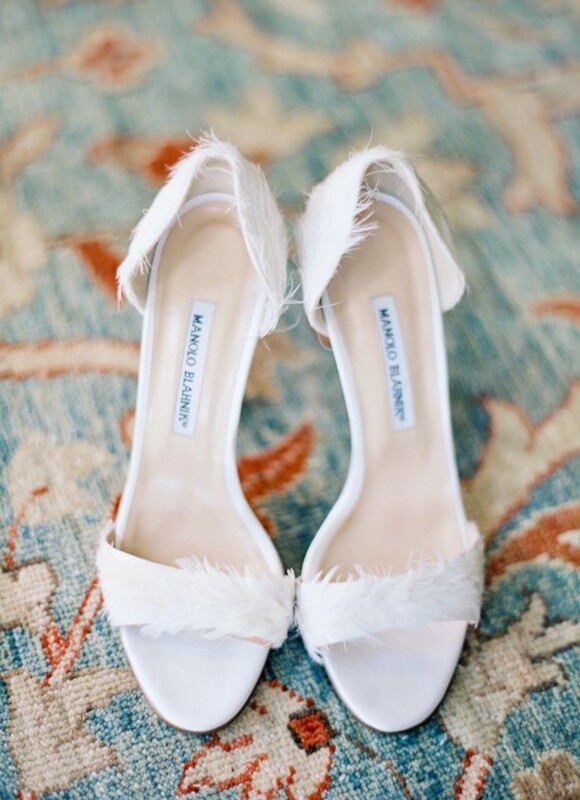 While some brides are pushing color palettes to the limit with their shoe choice, there’s something so endearing and classic about white shoes for your wedding day. Whether you want to be fashion-forward or comfortable, these white shoes are both traditional and trendy. These pointed white heels make a sweet pair. Small beaded bow embellishments are the perfect touch. For something a little more youthful, these chunky heels mix both natural and white colors. A strap over the foot and around the ankle provides support, while the wooden heel keeps it interesting. 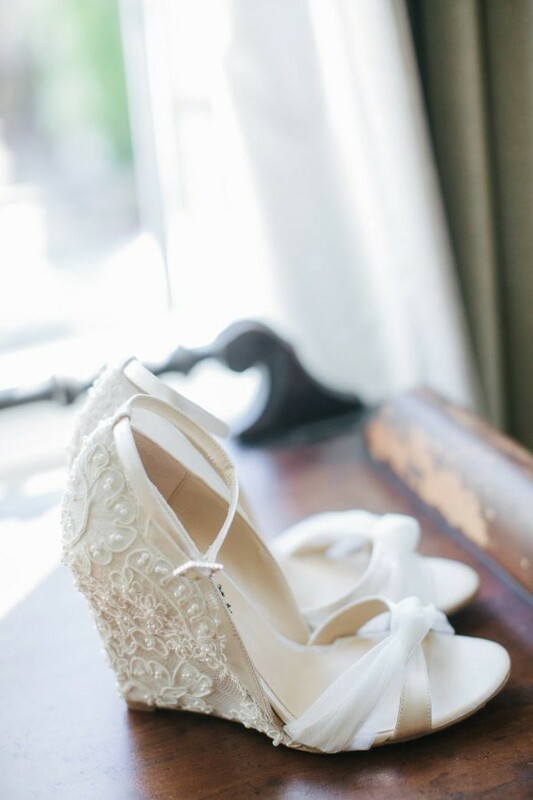 Nothing shouts “bride” quite like lace heels. These gorgeous peep-toes are also tied together in darling style. For a softer style, these feather-adorned heels are ideal. Perfect for a romantic gown, these simple, yet stylish open-toed heels are a great choice. 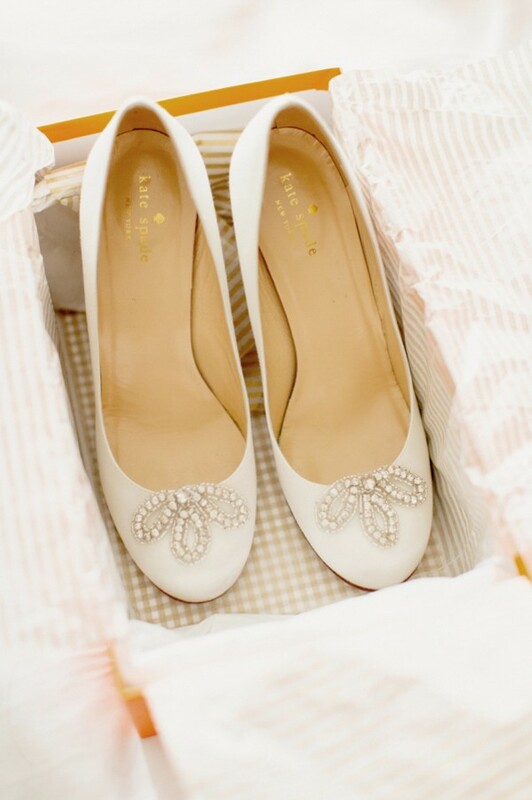 Flats are an excellent choice for brides who plan to do lots of walking around and dancing. But flats don’t have to be boring! These white Kate Spade flats have a beautiful embellishment on the toes that take the shoe from everyday to elegant. If you want your shoes to be showstoppers, these glamorous stilettos will do the trick. 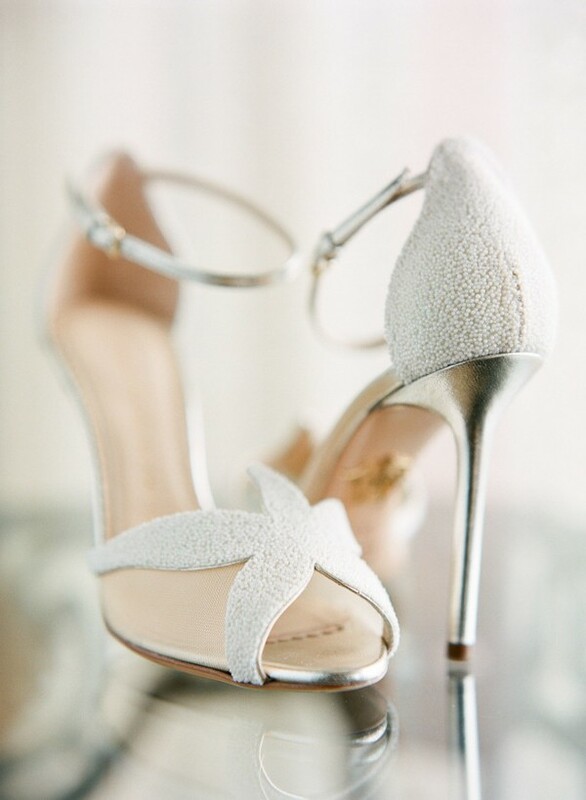 The sparkly white details with silver heels make for a luxurious walk down the aisle. Wedges are also great if you want a heel without the hurt. This pretty pair has a soft crisscrossed strap and beautiful lace on the wedge for a very bridal look. First, think about your day and all its activities. Second, think about style. Third, think about your personality. Mix all three together to find the perfect shoe for your special day. And no matter what you choose – just remember, white never goes out of style.